What Training Technique Produces The Craziest Muscle Growth? My entire adult life has been dedicated to finding the holy grail of muscle growth. 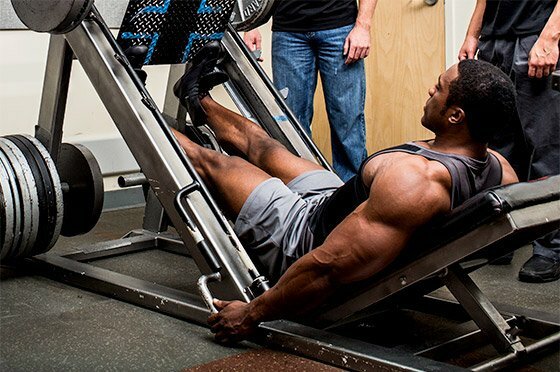 I&apos;ve read thousands of research papers and countless books on the topic, and I&apos;ve spent over a decade slaving in the lab trying to scope out new techniques—and classic ones—that bodybuilders can add to their toolbox. So I can think of a few candidates off the top of my head. But here&apos;s a surprise: Out of all the papers I&apos;ve read, the most extreme growth response was from a study I saw all the way back in high school. The author of that paper was Dr. Jose Antonio, a man who played a large part in inspiring me to pursue a career researching hypertrophy. Through a unique approach to stretching, Dr. Antonio induced jaw-dropping levels of growth in animals, and my lab at the University of Tampa has recently striven to—you guessed it!—optimize this technique for bodybuilders. Get ready to stretch both your mind and your muscles! While the first method of growth is more or less uniformly known and accepted by scientists, the second method has been more controversial. There are two proposed mechanisms through which individuals achieve hyperplasia, or add new muscle fibers. The first mechanism is when existing muscle fibers split. The second is when your body activates specialized cells known as satellite cells.2 The satellite cells then divide and combine to form new muscle fibers. Both of these methods require extreme mechanical stress and damage to induce hyperplasia. 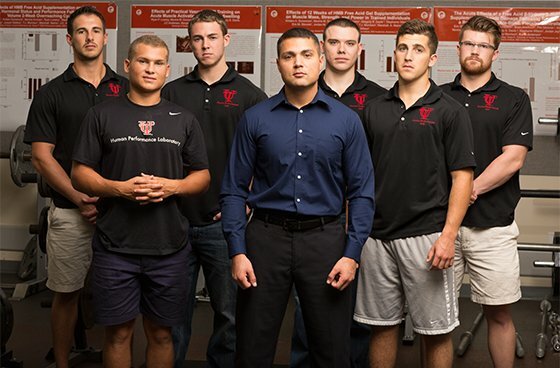 Jake Wilson and his team of scentists at the University of Tampa are constantly striving to find the perfect formula for muscle growth. In Dr. Antonio&apos;s study, he subjected quail to an extreme, chronic stretching-overload protocol which involved hanging weights on their wings for 28 days. During the month-long study, he progressively added more weight. Incredibly, Dr. Antonio reported 318-percent increases in mass for the stretched muscles! This is far larger than anything else I&apos;ve seen in the scientific literature. He then counted their individual muscle fibers and discovered that the technique had indeed drastically increased the number of muscle fibers in stretched muscles. Can hyperplasia occur in humans? 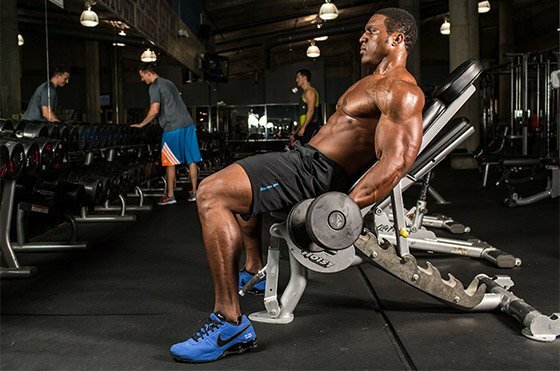 Can we modify Dr. Antonio&apos;s protocol for bodybuilders? Unfortunately, our ability to detect changes in muscle fibers in humans is quite difficult because we can&apos;t count the number of fibers from pre- to post-training in an entire muscle group. Unlike an animal model where it is possible to count every single muscle fiber, you have to make assumptions from a small muscle sample in humans. However, indirect methods in humans still point toward hyperplasia. One of the best studies on this topic to date was performed by Dr. Tesch and Dr. Larsson back in 1982.3 These scientists found that many of the muscle fibers in highly trained bodybuilders were the exact same size as recreationally trained physical-education students. The fact that the bodybuilders had much larger muscle mass indicated that many of their muscle fibers had been newly created. So should you duct-tape some weight plates to your arms for the next month? I wouldn&apos;t—although perhaps hanging some weights on your pet turkey might make for a bigger Thanksgiving meal. It is important to emphasize that the conditions in Dr. Antonio&apos;s study were extreme, to say the least. Luckily, when looking at studies, there are other stretching models to follow. Intermittent stretch overload is a technique that uses weights to stretch the muscle intensely, followed by two days of rest. Until recently, no human studies had been performed to investigate muscle growth with intermittent stretching protocols. However, two new studies have shown that intense stretching—even without lifting weights—increased strength by greater than 20 percent in only 3-8 weeks.5,6 Because individuals weren&apos;t actually lifting weights, an increase in strength strongly suggests—and other research supports—that the muscle must be enlarging, either by increasing fiber size or quantity. Our lab recently tried to tie together all the existing research into a training protocol that bodybuilders could use right away. Our study, led by Jacob Rauch and Jeremy Silva, focused on individuals performing seated calf presses on the leg press. The athletes began with a weight they could lift 12-15 times until failure. However, instead of resting between sets, they let the weight from the leg press stretch their calves for 30 seconds. They repeated this process three times, dropping the weight after each stretch. The key to stretch-induced growth is to create both a large amount of mechanical tension and muscle damage. The stretch placed upon a muscle fiber seems to be greatest after an individual has achieved significant cell swelling, or pump. After this swelling has been increased, we believe that intermittent stretching would have its greatest chance to work. However, based on the evidence above, it seems clear to us that some amount of weighted intermittent stretching is even more effective at increasing muscle growth, even in muscle groups as stubborn as the calves. But a quick warning: I guarantee that this will be one of the most challenging techniques you have ever implemented, and the pump will be like nothing you&apos;ve ever experienced! For this reason, it&apos;s crucial that you only perform this technique with exercises where you can stretch the muscle without putting yourself at risk of injury. For example, don&apos;t use dips to stretch your pecs, because your shoulders would be placed in a dangerous position. Instead, try something like lying dumbbell flyes, where you hold the weight in the stretched portion of the lift. For a one-month specialization program, I suggest performing a variation on the routine below twice a week. Use a weight you can lift for 12-15 repetitions. When you reach failure, let the weight stretch your muscles. At this point, perform a dropset where you strip the weight down by 15 percent and go to failure again. Repeat this process 2-3 more times, and you&apos;ll be—and feel—done. Here&apos;s how you could use it for specific body parts, and a full month-long specialization routine for the calves. Biceps: Between sets of standing or incline seated dumbbell curls, let the weight pull you into controlled hyperextension at the shoulder, maximizing stretch and tension on the biceps. Chest: Between sets of chest flyes, allow the weight to stretch your chest while maintaining a slight bend in the elbows. Traps: Following a set a shrugs, allow the weight to keep you in a depressed position without letting the weight rest against your sides. Hamstrings: Between sets of Romanian deadlifts, emphasize the bottom position. Extend your hips back as far as you can with your weight on your heels for maximum tension on the hamstrings. Keep the weight as close to your body as possible. Quads: Between any quad exercise, perform the classic quad stretch. Sit on the backs of your heels and place your hands behind you. Depending on your level of flexibility, you can walk your hands back for increased stretch. Back: After completing a set of pull-ups, fully extend your arms and hang. Keep your feet off the ground for maximal tension. Triceps: Between sets of triceps rope extensions, let the rope pull you back into a stretched position. Based on weights for an individual who can perform calf presses on the leg press machine with 300 pounds for 15 reps and calf raises with 100 pounds. 15 reps with 300 lbs. Stretch for 30 seconds using weight stack. Then go to failure at 250, 200, and 150 lbs, with 30-sec weighted stretches between each drop. 15 reps with 100 lbs. Stretch for 30 seconds using the weight stack. Then go to failure at 85, 70, and 55 lbs, with 30-sec weighted stretches between each drop. Increase load by 3-5% on the initial lift, and add 5 seconds to the stretch if you want additional overload. Antonio, J. and W.J. Gonyea, Role of muscle fiber hypertrophy and hyperplasia in intermittently stretched avian muscle. Journal of applied physiology, 1993. 74(4): p. 1893-8. Antonio, J. and W.J. Gonyea, Progressive stretch overload of skeletal muscle results in hypertrophy before hyperplasia. Journal of applied physiology, 1993. 75(3): p. 1263-71. Tesch, P.A. and L. Larsson, Muscle hypertrophy in bodybuilders. European Journal of Applied Physiology & Occupational Physiology, 1982. 49(3): p. 301-6. Antonio, J. and W.J. Gonyea, Role of muscle fiber hypertrophy and hyperplasia in intermittently stretched avian muscle. J Appl Physiol (1985), 1993. 74(4): p. 1893-8. Worrell, T.W., T.L. Smith, and J. Winegardner, Effect of hamstring stretching on hamstring muscle performance. The Journal of orthopaedic and sports physical therapy, 1994. 20(3): p. 154-9. Handel, M., et al., Effects of contract-relax stretching training on muscle performance in athletes. Eur J Appl Physiol Occup Physiol, 1997. 76(5): p. 400-8. Child, R.B., J.M. Saxton, and A.E. Donnelly, Comparison of eccentric knee extensor muscle actions at two muscle lengths on indices of damage and angle-specific force production in humans. Journal of sports sciences, 1998. 16(4): p. 301-8. Silva, J.E., Rauch, J., Lowery, R.P.,…..and Wilson, J.M. (2014) Weighted Post-Set Stretching Increases Skeletal Muscle Hypertrophy. National Strength and Conditioning Conference, Las Vegas Nevada. Carnipure is the most popular, highest-quality L-carnitine on the market. It&apos;s a popular ingredient in energy drinks, post-workout supplements, and on its own. Here&apos;s what you need to know to get the most out of it!